Nate Ruegger on set directing the short horror film "Trust Me"
Nate Ruegger is a writer & director of dark genre thrillers. Nate was born and raised in L.A. by an actress and a producer who made him the genre fan he is today. His first memory was seeing Return of the Jedi. His bedtime stories were Batman comics. His family movie nights were Hitchcock double features. 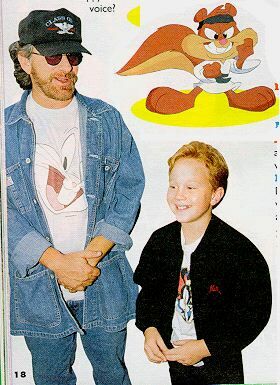 At the age of 7, he had the good fortune to voice act on the Emmy-winning series Tiny Toon Adventures – and after working for Steven Spielberg – there was no turning back. Currently, Nate is writing a number of genre thriller features and TV pilots, taking a horror short Trust Me on the festival circuit, and gearing up to write & direct his first feature. REEL / TEASER - "Trust Me"
SHORT FILM - "Another Life"
Winner of the Best Dramatic Short Film at the Houston International Film Festival, Official Selection in 12 Film Festivals including Newport Beach and Big Bear Lake, and called "one of the best independent short films" by HOLLYWIRE. Courtesy of Isaiah Rhodes Inderrieden - "Another Life"